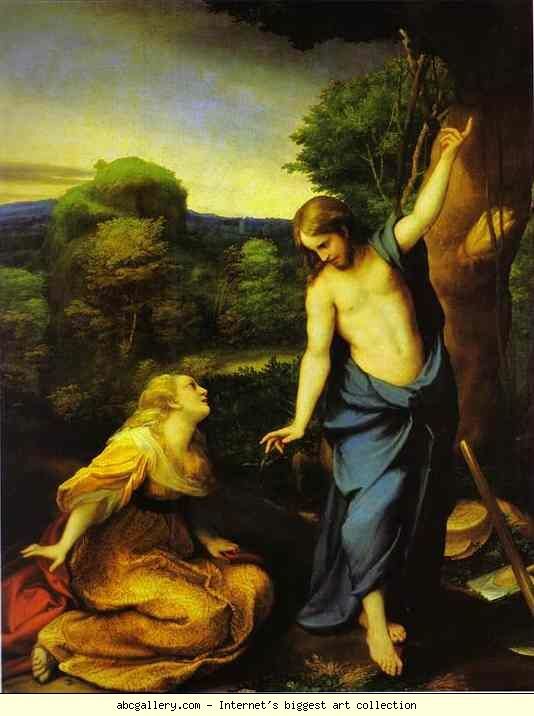 In my last article, “The Women at the Cross”, we saw a remarkable consensus of agreement between the four gospels writers in their testimony of those women witnessing the crucifixion; Matthew, Mark and John are all consistent in declaring that Mary Magdalene; Mary, the mother of James and Joses (the Other Mary); and Salome were all present at the cross, giving their courageous and faithful support to Jesus in his final hours. In this second article we want to continue our journey and follow the women as they set out for the Garden of Joseph of Arimathea, that first Easter morning. As they gather their spices and slip through the sleeping streets of Jerusalem, nothing could have prepared them for the momentous events the morning would bring. Truly, their lives -and ours- would never be the same again. They set out as grieving, frightened women, intent only on finishing the hasty burial process that had been prematurely interrupted by the Jewish Sabbath, they return as the first ambassadors of God’s Resurrection Kingdom. Our knowledge of the events that first Easter morning rests primarily on the four gospels and the letters of the apostle Paul, although we certainly cannot discount the corroborating evidence preserved in the works of the early church fathers and external first century sources, such as Josephus, Tacitus, Pliny the younger, Mara Bar Serapion and the Jewish Talmud. It would be naive to dismiss the gospel accounts, as some have suggested we should do, simply because of their later inclusion in the Christian Bible. There is almost total consensus of agreement among historians working in the field that these manuscripts represent our earliest and most historically reliable source material when investigating the events that Easter morning. While some remain concerned about the apparent contradictions within the gospel accounts, what is more impressive from a historical point of view is the overwhelming consensus of agreement between them. Matthew, Mark (recording the memories of the apostle Peter), Luke and John are all singularly united in their testimony that the stone was miraculously removed; the tomb was found empty; supernatural beings [singular or plural] were present; women received the first gospel proclamation; Jesus subsequently appeared to the grieving disciples; and upon this foundational testimony the Christian church was built. These striking similarities demand explanation; the easiest and most straight forward being that they actually happened. So why did God choose to reveal himself first to the women? His divine choice was surprising, embarrassing, and bordered on cultural impropriety. It is well known that women were not considered credible witnesses in first century Judaism, so their eyewitness testimony put the proclamation of the infant church on the back foot right from the start. 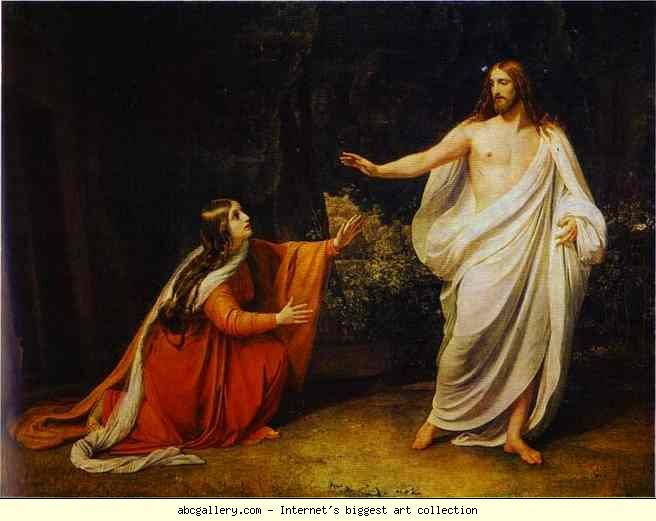 From a historical point of view, their testimony falls within the established “criteria of embarrassment”, which prompts historians to evaluate their information as all the more reliable and believable, since the nascent church would never have voluntarily chosen women to be the bearers of the resurrection if they had been deliberately promulgating a lie. The fact that they did so, with all its embarrassing cultural ramifications, further testifies to the truth of their proclamation. Leaving aside the historical element for a moment, however, I want to focus on the psychological element of the divine choice. When reading through the gospel accounts recently, I was struck afresh at just how revolutionary and surprising that choice was. The fact that both Peter and John were also present in the garden that morning; that both entered the tomb and both could easily have been made the recipients of the angel’s message further highlights the extraordinary and deliberate nature of the divine choice. Jesus could have delivered his commission directly to the men. There would have been neither surprise nor impropriety in doing so. Surely the fact that Jesus chose not to issue his first gospel proclamation to men stands out as singularly significant. Women have always been valued culturally for their role as mothers and nurturers, but in Judaism in particular women were given even greater value for their potential role as mother to the coming Messiah. Perhaps every Jewish girl secretly hoped to give birth to the liberating Messiah. Yet Jesus publically taught women to rise above this self-limiting evaluation of the worth of women in his teaching. Luke 11:27-28 records a woman in the crowd calling out, ‘Blessed is the mother who gave you birth and nursed you. Upon hearing her, Jesus broke with cultural acceptability, first by acknowledging her comments and treating her opinions as important, and secondly by disagreeing with her. ‘Blessed rather are those who hear the word of God and obey it,’ he replied. In other words, leave your sentimentality and your culturally defined role aside and recognise a bigger role – that of following me. My call goes out to all, regardless of ethnicity, gender or social standing. The role of motherhood, and indeed any other role, is secondary to that of doing God’s will. By choosing women to inaugurate the new age of the coming kingdom, Jesus was as good as his word. The fact that he was willing to break with tradition and entrust women with the most momentous news in history calls us all to hear anew his words, redefine our expectations and realise that nothing is impossible in the kingdom of the living Jesus.